The PG has the first of a two part series looking at the state of city of Pittsburgh's finances. Use up your paywall quota reading: 10 years later, is Pittsburgh really climbing out ofthe red? I'm just sorry... but no, that isn't the story. I feel for our media friends who must fit big long stories into column-inches that barely can tell the story of yesterday's baseball game. So in ten minutes, and my free marginal 'ink', here is my short short version of the financial history of the city of Pittsburgh that lead to the city's acceptance into Act 47 status by the Commonwealth of Pennsylvania. What was setting in for Pittsburgh was not only the combined effects of history, a city which had seen its population decline by over 45 percent over the previous 5 decades, but also a legacy of infrastructure that dated as the nearly the oldest in the nation with minimal reinvestment following the economic miasma of the 1980s.There just wasn't an option to stop spending money on core infrastructure across the board, infrastructure that was as expensive to maintain here as anywhere. Then they opened the books and the Masloff Administration showed that the situation was actually far worse than even the pessimists thought. On top of the dire economic and demographic circumstances, city books were showing the stress of changes just a few years earlier that made the city's already dire fiscal situation far worse. As discussed here in the past, the Masloff Administration had proposed a tax swap entirely intended to keep young families residing in the city. A notional tax-neutral shift from a high earned income tax toward real estate taxes was put in place. As much as the proposal took immense political courage to even propose, the outclome likely could have been expected: the lower income tax was welcomed, but the corresponding real estate tax hike was protested. While it went through, the amount millage was raised by was insufficient to make up for the lost income tax and so was created a structural deficit in the city's budget going forward from 1989 on. Like all deficits, short term fixes could get you through couple years, but right as Murphy was taking over, the situation was dire and until then much unnoticed. There really could only be one option, so bad was the situation. Bankruptcy was the almost inevitable outcome, as unprecedented as that option was at the time. In fact, the only thing that likely prevented it was the opinion of lawyers that it was not even legally feasible. Just a year earlier, the city of Bridgeport CT had attempted to file for Chapter 9 bankruptcy in federal court only to be told it was not allowed. Not because of any state law that proscribed the filing. Bridgeport, the judge ruled has sufficient fiscal capacity to get through its financial crisis. There were such few attempts at using federal chapter 9 bankruptcy code that the ruling was deemed as precedent at least outside legal circles. (my attorney friends tell precedent is actually not such an elephant in the ad-hoc world of bankruptcy filings... but what do I know?) The lawyers, who generally love precedents, I am positive told Murphy that the ruling meant bankruptcy was not an option in Pittsburgh as well. In retrospect I could make the case that the city of Pittsburgh's fiscal problems were so much worse than Bridgeport's at the time, and some legal research has said Bridgeport was only marginally above whatever legal Mendoza line was in the court's mind at the time. I really believe that a counterfactual Pittsburgh bankruptcy filing would not have been rejected and the logic that says Act 47 or any similar state laws prevent Pennsylvania municipalities from availing them of federal relief has been proven pretty false by Detroit's successful Chapter 9 bankruptcy filing despite opposition by the state of Michigan. Thus Pittsburgh at the very beginning of the Murphy administration faced an almost Kafka-esque financial state that continued through his entire term of office, or at least until Act 47 came to be here. Unable to file bankruptcy it had to plow on. Revenue raising was not really an option as most all would agree Pittsburgh was past the max revenue points of what economists call revenue hills, and any greater taxes would only have pushed people out of the city faster. Thus the remaining option of cutting all services to draconian levels, which would have been the only real way to put the city's budget on a sound structural basis. Yet many believed the cuts required to make a dent in the budget deficit would only have made the city utterly unlivable and also further accelerate the decline. You really would have seen capital budgets cut to nothing and operating budgets slashed to levels never seen in the city. So for good or bad the Murphy administration found other ways to carry on. Whether one agrees with the tactics or not the real error that Murphy fully admits to in public is that he was planning for growth in the city. If there was future population or income growth, the fiscal deficits could be overcome. But how to get to growth required investment. Since that growth did not come during his terms of office, the structural budget problems continued until there were no latent assets to tide the city over. Thus came a decade of fully understood to be short term solutions. The first was the 'sale' of the city's water assets. To be clear the semantics of that are challenging since some today call for the privatization of the water authority. So what happened two decades ago? I call it the monetization of the water department actually. The city's municipal water department was spun off to an 'independent' water authority which in turn 'paid' the city for the assets and in doing go incurred a chunk of debt to be paid off in the future. In the fiscal machinations common on Wall Street it was no big deal, but convoluted nonetheless. So there was half of a privatization that provided the city a lump of cash that got it through the deficits of the first Murphy term, but not more. Those who are calling for a further 'privatization' of the water authority are talking about handing it over to an actual private sector company with equity ownership. There is no pot of gold in that potential transaction though. The high debt the water authority owes would take up any potential payment in the purchase... possibly the $$ on the table could not cover all of the debt, all which would be a real downer. Then came the looming costs of pensions long since agreed to over previous decades coming due. Based entirely on recommendations a report chaired by no less than then-future Secretary of the Treasury Paul O'Neill, the Establishing a Culture of Excellence report (I really hate euphemisms) the city was told outright it needed to float a big Pension Bond to refund the soon to be depleted (and I mean absolute zero dollar balance projected to happen by 2000) pension fund. The city complied with the blue ribbon panel and did so by floating two big bonds that pushed up the nominal funding ratio of the city's pension system from under 20% to over 66% (sound familiar?) funded overnight, and thus push down the city's required cash contribution for many years, mostly getting through the second Murphy term. The pension bond helped a lot, but by the third term it still was not enough and thus the third big trick commonly used elsewhere but not on such scale or impact as here. The sale and again I prefer the term monetization of the vast unpaid tax bills on city of Pittsburgh real estate. That is a monster story unto itself, but in brief a Wall Street firm called MBIA created a subsidiary with a mis-spelled if incredibly apt Spanish name for 'Black Hole' (I can't make this stuff up) to purchase at cents on the dollar the portfolio of tax liens the city nominally owned on unpaid real estate taxes. The firm obviously expected to collect on enough of those liens to make a profit. The city again received a chunk of change that continued to tide it through fiscal problems that had yet to structurally abate in any form. When that money ran out is when there was no other creative way to monetize anything else the city owned. Then and only then did the final phase come and the action by the state to come in and place the city in Act 47 status. Was there any reason the state could not have put the city in Act 47 a decade earlier? Absolutely not, but the state as happy as everyone else for the city to muddle through with short term fixes hoping for a long term future that somehow solved itself? Yes, that was ten minutes stream of consciousness with the exception of finding a few of the old reference links (I may add more later). Maybe we will also make it two parts and cover the subsequent decade as well. I'll ponder that a bit longer. Here is THE question historians will take up eventually. Was it worth it? Was there another option and would bankruptcy in the early 1990s have cleared the deck for future growth quicker? Or made things worse? If Murphy had made other choices and made the cuts some wanted him to make in the early 1990s would the city's financial history be different. One could argue that the cuts that would have been necessary would have made the city such an unpalatable place to live that the decline of the city's population would have accelerated. Am I arguing that? No.. I just don't know the aswer. I am pretty sure that Murphy would have been a one term mayor if he had come close to closing the budget's structural deficit with expenditure cuts alone. If that had come to pass, who knows what the counterfactual political history of the city would have looked like over the subsequent decade.Would it have been a Mayor Wagner 16 decades earlier? Mayor Cohen perhaps? Mayor O'Connor 8 years earlier? Mayor Ferlo possibly? The butterfly could have landed anywhere. One thing is very clear, the fiscal state of the city in 1993, a place where population and incomes were declining rapidly, with a pension fund barely 17% funded (with optimistic assumptions no less), which was still dealing with the massive economic trauma of the decade before including the loss of many of the city's major employers located Downtown (Gulf anyone? just to begin), is just not a set of circumstances repeated going into the future. Those who think otherwise don't appreciate how bad the past was, despite a bit of gloss on the surface that kept the public from appreciating the worst of it at the time. Lots of folks straight line projections, and the city and region have already proven that to be a bad way to forecast most anything. There are few of the circumstances of today similar to where the city was beginning in the 1990s which was trying at best to stop sliding faster, let alone ever dream of growing again. I don't even know where to start with this, but just imagine what you could do if government data was as accessible as some sports statistics. Too much to parse in this, but check out NFLSavant.com. Note the CSV files there for all the play by play statistics, player info and weather for every NFL game since 1960. Just because it was the easiest to parse quickly, here is what it has for the 10 coldest Steelers' home games since 1960. I actually remember that 2005 game and up in row Z of the upper level seats I am sure it never got up to 3 degrees. As for the the data, I am not qualified to begin parsing the play by play stats, but the possibilities are limitless. Imagine what folks would do if for example county assessment data was equally available online? All we know is that the tracks are not the same. Do we have a fake Santa in the pattern? Why does Santa not have an official GTFS feed? Open source Santa tracking I say! Remember, this whole Santa tracking thing started with Bessemer, Lawrence County native, Westminster College alum, and retired Air Force Colonel, the late Harry Shoup. One of the Pittsburgh nabobisms that is more resilient than others is that jobs being created today, especially in Pittsburgh, are just not the quality jobs that we used to have here. Quality being usually defined by wage levels. So no matter what the trends look like for job counts (see previous post) it just does not matter, we must be continuing into the vortex of recession. For some it is a remarkable article of faith that no counterargument can assuage. It is a perception all the more remarkable for the data it lacks. Below is a long term time series of how local personal income per capita compares to the nation's. For 2012 local personal income per capita is 9.4% over the national average. So yes, Pittsburgh's income of late is better than it has ever been in the modern era, as it were. That includes the period before steel jobs collapsed. If there was a period in the past that we (briefly) compared favorably to the nation, though not as good as today, it was the late 1970s. To understand that period you have to unpack the experimental negotiating agreement (ENA) agreed to between the steel industry and its workers, but that is a longer story for another day. Don't get this wrong. For the individual steelworkers who lost their jobs, their incomes went south in most cases for the remainder of their working careers, but on average across the region the wages being earned today compare better to national norms than ever before. That says a lot about the jobs, the quality of jobs if you wish, that have been created here over the last decade compared to jobs that were common here in the past. To pull up the average that fast means the marginal jobs, the new jobs, must be much better paying than was common in the past. More to the future, it sure looks like the trends are continuing upwards as well. November nonfarm jobs data is out in Pittsburgh again at new all-time peak. Here is graphic comparing November data going back to 2000. Whether you take into account the impacts of the Associated Press named "Great Recession" or not, here is what I see for the local jobs trends. In the new year we are going to go over 1.2 million total nonfarm jobs for the first time ever. Correction: Original image said October of each year. Should be labeled November of each year. My inner electrical engineer loves this piece of technology/business/communications history in the Washington Post today: This 100-year-old deal birthed the modern phone system. And it’s all about to end. The NS peanut gallery pointed out that Matt Yglesias is suggesting: on Slate we: Move Silicon Valley to Cleveland or possibly Detroit. OK.. but the reason he discounts Buffalo and Pittsburgh? "unlike Detroit and Cleveland, they lack a major airport." Don't get mad at me, he said it. I just want a refund. Kudos to this fun map... but Pittsburgh ought to get a bigger star. See the dynamic presentation of the Spread of Carnegie Libraries in America: 1890-1921.
and to follow up last week's note on the 28th Infantry Division's role in the Battle of the Bulge which began 69 years ago today, the Army has an extensive interactive site on the history of the battle. Reading latest news on potential (likely?) 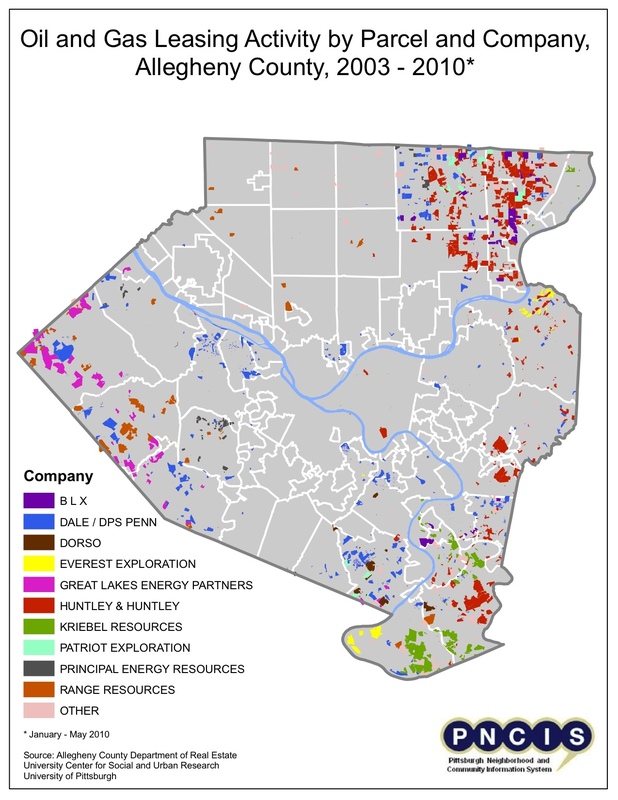 natural gas development in Allegheny County Parks. PG: Allegheny County's Park gas offer includes $3.5 million bonus. The industry is quoted as saying the parks could become doughnut holes. Reminds me of a scene in There Will Be Blood. Makes me wish Allegheny County made the relevant #opendata available to update the county gas drilling map. I do not believe that map is re-creatable any longer from the outside because the required data has actually become less accessible. If I am wrong about that, please let me know how to get the data in a usable form and I will fully retract the statement and offer undiluted wonk kudos. Imagine the great map we could make showing change over time if there was access to the data. There is a bigger point to that. I know we are all focusing on city-centric news of late... but there are 129* other municipalities in the county all of which could use a little more data love. In Pennsylvania, much of the most important data will have to come from counties in the long run, not only here, but across the Commonwealth. * What number of municipalities you ask? We can't even agree. You see people talk of 128, 129 or 130 municipalities in the county. Depends if you include 1 or 2 municipalities that cross the county border and also sit, in part, in other counties. So I've been a pension pundit for some time now, for good or bad, and long before many really cared to notice Downtown. That and if you want to play with the numbers, the references are all here. News today is that the city's pension board is lowering its actuarial assumptions on future investment returns. Something long advocated by just about everyone basically. A deeply esoteric bit of public finance, but one that is clearly the biggest public finance story impacting the city this year and will continue to impact the city for years in the future. So the timing and the motivations of the change are curious for sure. Should this have been done in the past, but wasn't because it was opposed by the very same pension board? Yup. Nonetheless, whatever the motivations and whatever the timing, if you are a believer in good government, this is an unequivocally good thing. If there is one reason why the city of Pittsburgh's pension fund is so underfunded, it is because of the rosy assumptions that the pension board has allowed, or should I say directed, its actuaries to use when calculating how much $$ to put into the pension system. By assuming future investment returns were higher than is realistic, and a whole host of other bad assumptions, the city has gotten away with underfunding the pension system. I'd argue the change at hand yesterday is the single most positive step the pension board has taken to make the pension system solvent in the long run. .
Don't get me wrong, this is not absolution. The pension board has made some decisions in the past that are quite frightful. To keep the pension system from being taken over by the state, a move that would have forced a revision of actuarial assumptions, the board once put all the assets into cash. One of those investment decisions that any financial advisor would never tell you to do with your retirement assets. It was a decision that clearly cost the city tens of millions. The story I like best is how the actuary for years used to use severely outdated mortality tables when calculating how much money the pension fund needed from the city each year. By simply assuming workers are going to die faster (brilliant eh? ), the pension fund, ergo, would have a smaller future liability. It is an assumption that the city's actuary, in his only public comment for the record ever, actually defended the math, saying we do die a lot faster here.It was the fellow's first and last comment on the record to the media ever. Potter must have offered him a free lifetime subscription to the City Paper to get it. It was a logic that, put another way, said we were all living in a big superfund site. Luckily, in a sense, the city's pension liability has kept going up. That old assumption was even more perverse when you start to think about the aborted plan to save the pension system by purchasing a vast Dead Peasant life insurance policy. There must have been some pathological arbitrage opportunity in all of that for someone. So you might say that is all well and good, but it is still a bad idea to change assumptions right now. Except that again, this problem exists in the first place because every mayoral administration has wanted to punt this decision down the road. It is a problem that compounds itself ever worse every year it is deferred. It is one of those problems that gets that much worse the longer it is delayed. Keeping actuarial assumptions as they have been would be more of the past. I say that because you have to believe there will be pressure on the pension board to revert back on this decision, something that will only be very bad for the city in the future. The fiction would be less painful for sure, but just bad government. What I wonder about in the future is that with a new finance director coming aboard, will the future finance director sign off on the pension system's actuarial report? I really wonder. If you look at page 14 of the most recent report (per the printed page numbering) you might see some missing signatures. That is the report officially submitted to the state by the way, which the state used to sign off on the plan to keep the city from turning over its pension system to the state. They didn't seem to mind. IMHO..... Next to all that will happen with our water and sewer infrastructure, this one issue may be the single biggest issue impacting the city's financial future. Lots and lots of other stuff will make lots more headlines, but whether the city remains financially solvent in the future comes down to funding the pension system. Last week saw the dedication of Pittsburgh's World War II Memorial on the North Shore. Rarely mentioned these days is another Pennsylvania WWII anniversary coming up next week. December 16th is the anniversary of the beginning of the Battle of the Bulge in 1944. At the center of the attack was the 28th Infantry Division. The 28th division was formed from, and remains, the core of the Pennsylvania National Guard. The division took heavy losses in fighting the 5th Panzer Army, but in doing so was able to hold off the attack for 3 days, severely upsetting the timetable of the German advance. The reason the 28th ID was where it was? It had been placed in a 'quiet' sector to rest after difficult fighting in The Battle of Hürtgen Forest, said to be the longest single battle ever fought by the U.S. Army. Here is all I have to say... after 50 years and what may be the single most concentrated economic development effort in the region's history since the original renaissance, I think Pittsburgh now has less air service than it did before. I admit I say that without hard data, but if anyone wants to challenge the statement maybe I will go back and compare. I do have to add I am at a loss as to how to reply to this quote in the paper today: "“US Airways has been more significant to this region than Gulf Oil but never as significant as Westinghouse Electric,” Have we really forgotten our own history that much? At the very least, nobody will be referring to the USAirways building Downtown three decades from now. Can we all be clear that Boeing is not coming to Pittsburgh. The reasons are too many to list, but not the least of which are some sheer transportation/logistics issues that would keep us off any short list. Remember when Airbus was shopping around for a US plant? Not coming here. Speaking of fracking and media reporting. Just another anniversary. 46 years ago tomorrow the government conducted a test. Think fracking is new? Worried there is not enough water for sustained shale development? There are other ways to frack the natural gas out of shale? Once it was done with nuclear detonations. December 10, 1967: Project Gasbuggy. So the public debate still seems to be centered on how much employment related to shale development in the state is going up. Not mentioned is the hardest data we have which is now showing that mining jobs in Pennsylvania have now been trending down for the last 21 months. And no, its not because there has been any downward trend in coal mining jobs. In fact, coal mining jobs in Pennsylvania have been incredibly stable at 8,700 jobs all year long, virtually unchanged over last couple of years (begs a funny question on this 'war on coal'... workers are doing ok, but industry realized prices I bet are taking a hit from the competition with natural gas.) Nonetheless, the variability in mining industry employment has to be mostly all generated by shale development. Even if unreported, the turnaround across the state is pretty remarkable. I've shown previously that if you net out the Pittsburgh MSA, which has been trending up, the downward trend across Pennsylvnaia is steeper than it appears here. Maybe that will be story next time around? But the real story is buried in the jobs data out last week. So from posts last week 1) Manufacuting jobs are down to a new historic level in Pittsburgh, but 2) historic year over year growth in the combined education and health care sectors here. The 60th anniversary of World War II's end is likely to pass quietly across the nation. Tomorrow's V-J Day marks an abrupt end to what had been years of total war. The U.S. homeland did not suffer the destruction that would befall Europe or Asia but it was a homeland at war nonetheless. Pittsburgh was collectively subsumed by the war, and as a result produced an unprecedented level of output that was the foundation of eventual victory. Can the region work together? It once did. With civilian production of almost all durable goods suspended for the duration of the war, the steel industry would convert totally to the war effort. The entire Pittsburgh economy became a war economy like almost nowhere else. As the Trenton Bridge proudly advertises "Trenton Makes, the World Takes," so it went in Pittsburgh. Probably at no other time in its history was so much of the output of Pittsburgh's industries destined for overseas customers or destined for U.S. forces deployed around the globe. Steel was a vital cog in nearly every war-related product that was essential to U.S. and Allied forces. From steel tanks and steel-armored ships to steel rifles and helmets. The American steel industry as a whole produced almost 90 million tons of finished steel during the peak year of 1944, and 427 million tons from 1941 through 1945. That level of output would not have been possible without the concentration of infrastructure, talent and resources in southwestern Pennsylvania's industries. If Pittsburgh had not existed as the United States entered World War II, Pittsburgh would had to have been invented in short order. The industrial output produced here would not have been possible without an unprecedented level of cooperation everywhere in the region. Government and business would work together at all levels. Management and labor would coexist with minimal conflict for the duration of the war. Rationing and shortages would force cooperation in the allocation of resources between firms that would otherwise have been fierce competitors. Innumerable other products were produced in Pittsburgh during the war. Entire industries would retool to meet war production requirements. A local ship-building industry would be created almost overnight and over 290 ships, in addition to structural components for 43 aircraft carriers and 81 cargo ships were built at local shipyards of the Dravo Corp. and the American Bridge Co. Over 200 of the ships built locally were LSTs -- Landing Ship Tanks -- the backbone of the D-Day invasion. The bulk of the Normandy invasion fleet would thus float down the Ohio long before crossing the English Channel in June of 1944. Like all victories, World War II's would not come without a price. Many servicemen did not make it home. The region would not get a Purple Heart for the indelible environmental damage accelerated by the war. Industrial overcapacity wrought by the war's artificial demand would defer the normal evolution of industry here, magnifying the transition that would eventually have to happen. But there were no complaints, because there were no other options. The lack of wartime exigencies would make cooperation after the war difficult to extend. As a result victory at home would in many ways be more difficult than victory overseas. The armed forces would remain segregated through World War II. Women and minorities who entered the work force en masse would be displaced as soon as veterans returned to their former jobs. But many seeds were sown for the victories at home that would come. Rosie the Riveter would go back to homemaking at the end of the war but her daughters would enter the workforce like no generation before them. And it was the Pittsburgh Courier that launched "The Double V Campaign" promoting "Democracy: Victory at Home, Victory Abroad" promoting the rights of blacks in America. It would be a goal unmet in 1945, but it would plant an unheralded seed for the civil rights movement to come. Is it possible to recreate the cooperation that existed here in World War II? As war has changed so has its impact on the region. Even heavily armored equipment these days is as likely to be built with Kevlar or other advanced materials and not steel forged here. There are innumerable examples of defense-related production in the Pittsburgh region, but there just is no comparison to the war economy of the region in World War II. The daily reminders of conflicts overseas were everywhere 60 years ago. From food rationing to war bond advertising there was no escaping the fact that the nation was at war. Today it is difficult for conflicts overseas to not seem remote. Not just 24-hour news but multichannel, multimodal news coverage seems to inoculate as much as it informs. Sixty years ago Pittsburgh was safely ensconced in what was the strategic rear, where enemy attack was inconceivable -- a notion long-since overcome by events. It was not the threat of daily bombing that made Pittsburghers come together for the common good, but the unity of purpose they had for the goals at hand. In the end it's hard to say whether Pittsburgh altered the war more than the war altered Pittsburgh. The legacy worth remembering is that for a brief period nearly everyone worked together for Pittsburgh to accomplish what was asked of it. Just in honor of yesterday's Dirty Dozen bicycle race. The 30th anniversary no less - also see the Wikipedia entry on the event - oddly making more news elswhere than here. I thought I would pull this from the archives. Here is my contribution to the city's economic development plan in the new administration. Don't you think we ought to be the place to implement the CycloCable (see video below). Not to be a wimp or anything, but just on a few widely traveled hills. Cardiac Hill? 46th St? I'd say Rialto St., but I have a hard time believing the street is not going to slide away on its own accord one day, but it would open up a great Troy Hill - Lawrenceville bicycle thoroughfare. Nuts you say. They use it in Norway. Nuff said. Think what it would mean to geriatric biking in the burgh?